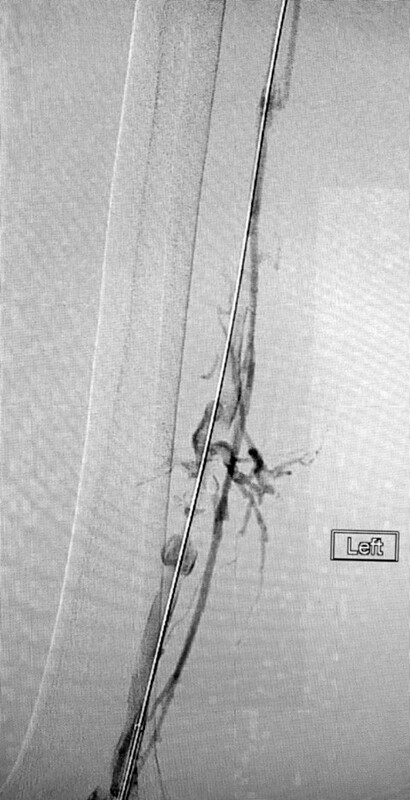 Extracting large clots from large vessels without the need for thrombolytics. 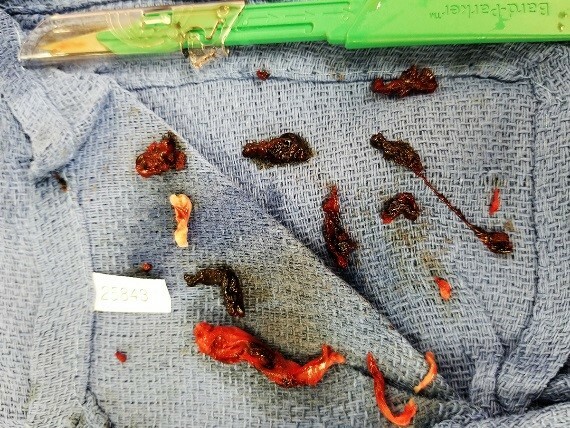 The ClotTriever Sheath features a self expanding nitinol mesh funnel to maximize clot removal. 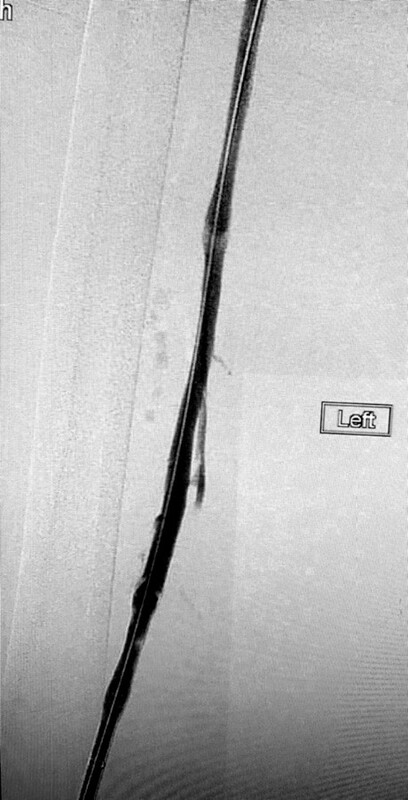 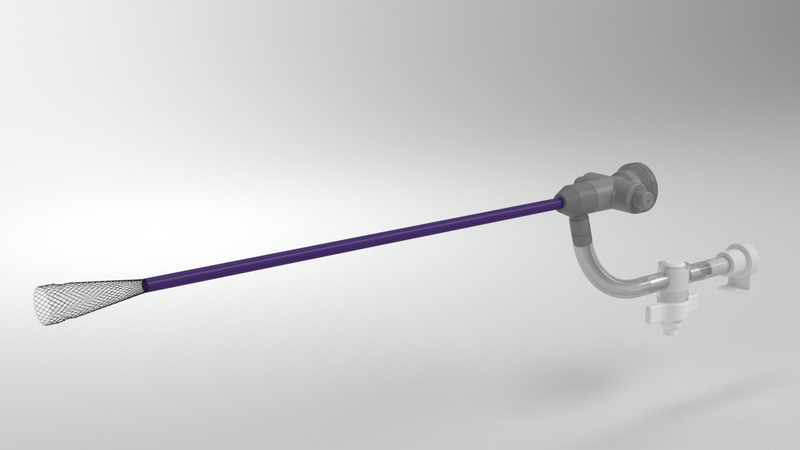 In addition, the sheath features a stopcock for aspiration and a hemostasis valve for catheter insertion. 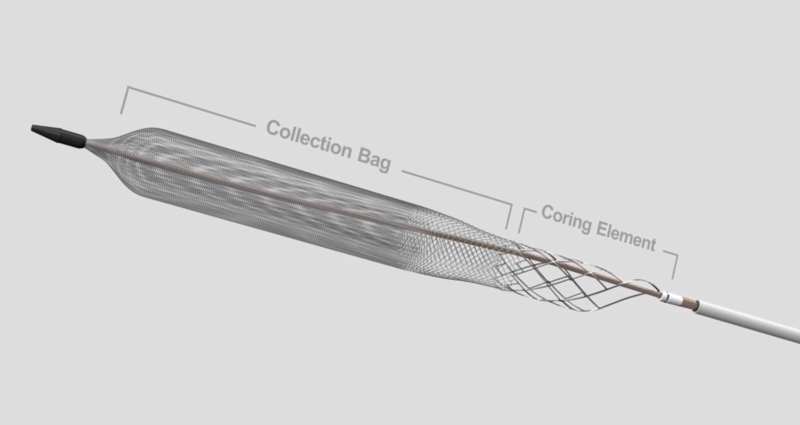 The ClotTriever Catheter features a nitinol coring element and a braided collection bag, designed to core and collect clot for extraction from ClotTriever Sheath.